Voytek Lab Cognitive Science PhD student, Richard Gao, wrote a detailed piece about his new paper, "Interpreting the Electrophysiological Power Spectrum,” published in the peer-reviewed, student-focused “NeuroForum” mini-review section for the Journal of Neurophysiology. I wrote a detailed piece about my new Nature Neuroscience paper, "Oscillatory dynamics coordinating human frontal networks in support of goal maintenance" over at my lab blog. New post up over on my (new) main blog! It's about my latest paper, "Dynamic Network Communication as a Unifying Neural Basis for Cognition, Development, Aging, and Disease." This paper was invited as part of a special issue for Biological Psychiatry titled "Cortical Oscillations for Cognitive/Circuit Dysfunction in Psychiatric Disorders," by the organizing editor, György Buzsáki. Although it was invited, it was still peer-reviewed as normal. After many long years here on Blogger, I've finally pulled the trigger and I'm moving over to WordPress on my new lab website! And here's our first post! 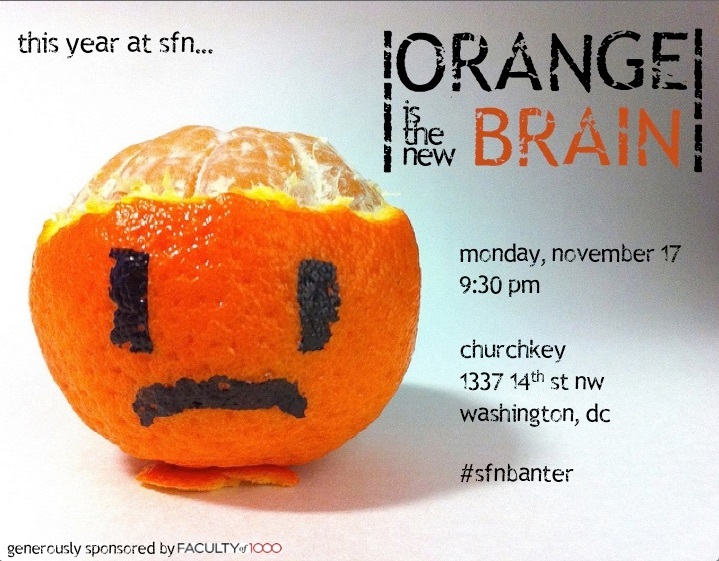 This will be my first year attending SfN as an actual professor (I was hired but hadn't started by SfN 2013). This means I'm on the lookout for potential PhD students and post-docs. Nothing certain yet, as grants haven't come back, but if you're looking for a place to do you PhD, or thinking about a post-doc in the next year or two, hit me up. It turns out, San Diego's a pretty nice city, and has pretty good cognitive science and neuroscience programs (FALSE HUMILITY PRECEDING). Abstract: Neuronal oscillations play an important role in neural communication and network coordination. Low frequency oscillations are comodulated with local neuronal firing rates and correlate with a physiological, perceptual, and cognitive processes. Changes in the population firing rate are reflected by a broadband shift in the power spectral density of the local field potential. On top of this broadband, 1/f^α field, there may exist concurrent, low frequency oscillations. The spectral peak and bandwidth of low frequency oscillations differ among people, brain regions, and cognitive states. Despite this widely-acknowledged variability, the vast majority of research uses a priori bands of interest (e.g., 1-4 Hz delta, 4-8 Hz theta, 8-12 Hz alpha, 12-30 Hz beta). Here we present a novel method for identifying the oscillatory components of the physiological power spectrum on an individual basis, which captures 95-99% of the variance in the power spectral density of the signal with a minimal number of parameters. This algorithm isolates the center frequency and bandwidth of each oscillation, providing a blind method for identifying individual spectral differences. We demonstrate how automated identification of individual oscillatory components can improve neurobehavioral correlations and identify population differences in spectral and oscillatory parameters.